Deborah Eagan is an award winning real estate professional with Keller Williams Realty - St Pete specializing in luxury condos and homes from downtown St. Petersburg to waterfront communities along the beach areas of south Pinellas County. 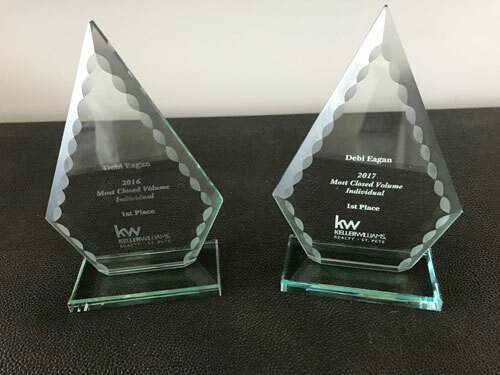 Deborah is one of the top real estate agents in St. Petersburg, FL having won the “Most Closed Volume” for an Individual agent in both 2016 and 2017 for her brokerage of over 300 agents. A native of New Orleans, Deborah's career began in Real Estate Development, combining her passion for design and marketing with a self-motivated entrepreneurial mindset. She later worked for Business Week Magazine developing direct mail campaigns and negotiating contracts with Fortune 500 and Silicon Valley corporations. 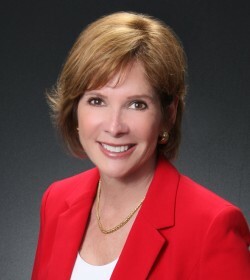 Deborah also owned her own advertising and marketing company, before relocating to St. Petersburg and returning to real estate and becoming a Keller-Williams Luxury International Realtor. Deborah draws from all aspects of her careers, her training and personal life to identify the uniqueness of each of her listings and to creatively market the properties in a way that best features those attributes. Eagan Luxury works with both sellers and buyer to find them the unique property to fit their lifestyle. Deborah also holds several specialty Realtor certifications and designations including: Graduate Realtor Institute (GRI), Certified Negotiation Expert (CNE), Certified Luxury Home Marketing Specialist (CLHMS) and Real Estate Collaboration Specialist – Divorce (RCS-D).